The Stabat Mater is a thirteenth century prayer normally attributed to Jacopone da Todi: the Virgin Mary suffers and prays on the body of Christ just crucified. Its verses are in Medieval Latin. Over the centuries, this prayer has inspired a great number of composers. In the Middle Ages and in the Renaissance, these include Josquin des Prés and Giovanni Pierluigi da Palestrina. In the Baroque period, Alessandro Scarlatti, Antonio Caldara, Nicola Fago, Antonio Vivaldi, Emanuele d'Astorga, Giovanni Felice Sances, Domenico Scarlatti, Giovanni Battista Pergolesi, Tommaso Traetta, Agostino Steffani, Pasquale Cafaro and Nicola Logroscinoì. During the Classical period, composers writing Stabat Maters included Joseph Haydn, Luigi Boccherini, Antonio Salieri, Niccolò Antonio Zingarelli and Giovanni Paisiello. In the Romantic era: Gioachino Rossini, Saverio Mercadante, Franz Schubert, Franz Liszt, Josef Rheinberger, Antonín Dvořák, Giuseppe Verdi and Andrea De Giorgi. In the twentieth century: Lorenzo Perosi, Karol Szymanowski, Francis Poulenc, Krzysztof Penderecki, Arvo Pärt, François Fayt, Salvador Brotons, Toivo Kuula and Zoltán Kodály. Finally, since the start of this twenty-first century, new settings have been created by Luis Bacalov (commissioned by Teatro dell'Opera di Roma), Bruno Coulais, Karl Jenkins, Julien Joubert, Marco Frisina, Domenico Bartolucci, Franco Simone, Marco Rosano, Angelo Comisso, Stefano Lentini (who composed the prayer for the film The Grandmaster by Korean director Wong Kar-wai), Maurizio Maiorana and Alberto Schiavo. 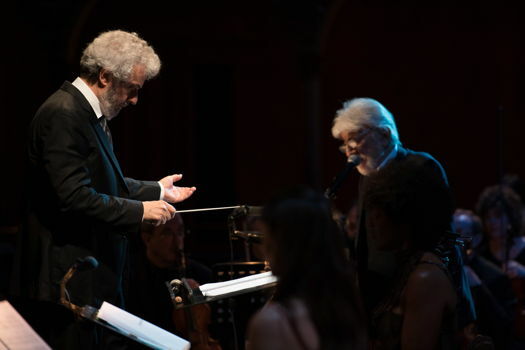 Nicola Piovani (born Rome, 1946) is to be included among the contemporary composers attracted by the Stabat Mater. 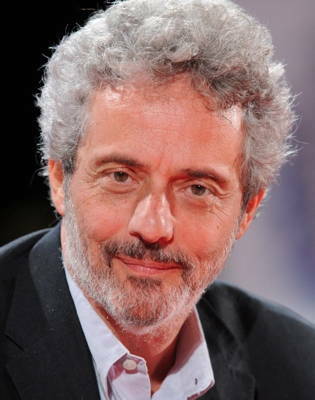 He is well known in Italy and in the US, especially for his film scores; in 1999, he received the Academy Award for the score of Roberto Benigni's movie La vita è bella. He is appreciated also as composer of contemporary 'serious', 'high' or 'cultivated' music. For example, I recall quite vividly an excellent concert piece by him titled EPTA - 'Seven' in ancient Greek - at a 2010 contemporary music festival in the French Academy in Rome's Villa Medici. It was a suite for seven instruments on seven episodes from history or literature; in each of the seven movements, one of the instrumentalists was a soloist engaged in a dialogue with the other six elements of the ensemble. A little masterpiece. I was less impressed by his semi-operatic work on Dante's La vita nova. I heard it at the 2015 Ravenna Festival and reviewed it in Music & Vision Magazine on 11 June 2015. Piovani's Stabat Mater is a one-hour-and-a-half concert piece titled La Pietà. It was originally composed in 1999 for a small ensemble, two sopranos and an actor on a libretto by the late poet and writer Vincenzo Cerami. After twenty years, Piovani has reviewed the work, essentially providing a new orchestration for a large orchestra. In its revised version, La Pietà has been performed in Florence and Rome's opera houses. I attended the 20 March 2019 Rome performance. It attracted a large audience: Teatro dell'Opera di Roma was full to the hilt. In La Pietà, two mothers cry and pray on the deaths of their respective children, and a narrator - an actor, Gigi Proietti, an Italian stage theater star - links their two stories and reads Jacopone's verses. One of the two mothers, Maria Rita Combattelli, a soprano with a wide register, is a high income woman from the Western World; she has just discovered that her adolescent son has died from a drug overdose. 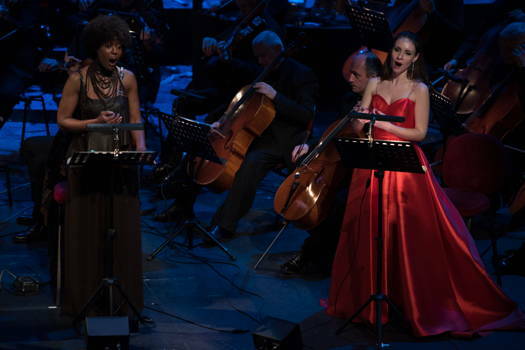 The other, Amil Stewart, a soul soprano, is a poor African woman whose baby has just died from starvation on her lap. There is no plot but plenty of emotion - especially in the duet of the two women, singing a lullaby for their dead children. Piovani himself conducted the Teatro dell'Opera Orchestra. The score is tonal with harmony, melody and rhythmic passages. There are also references to ethnic (ie African) music. It is both dramatic, sentimental and endearing. The audience was enthralled. After applause and accolades, the duet was encored.